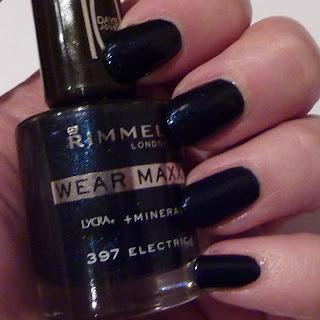 Today I've gone for something dark and sparkly in the form of Rimmel Electric, it's a dark blue base with blue micro glitter throughout, and it's from the Wear Maxx range. 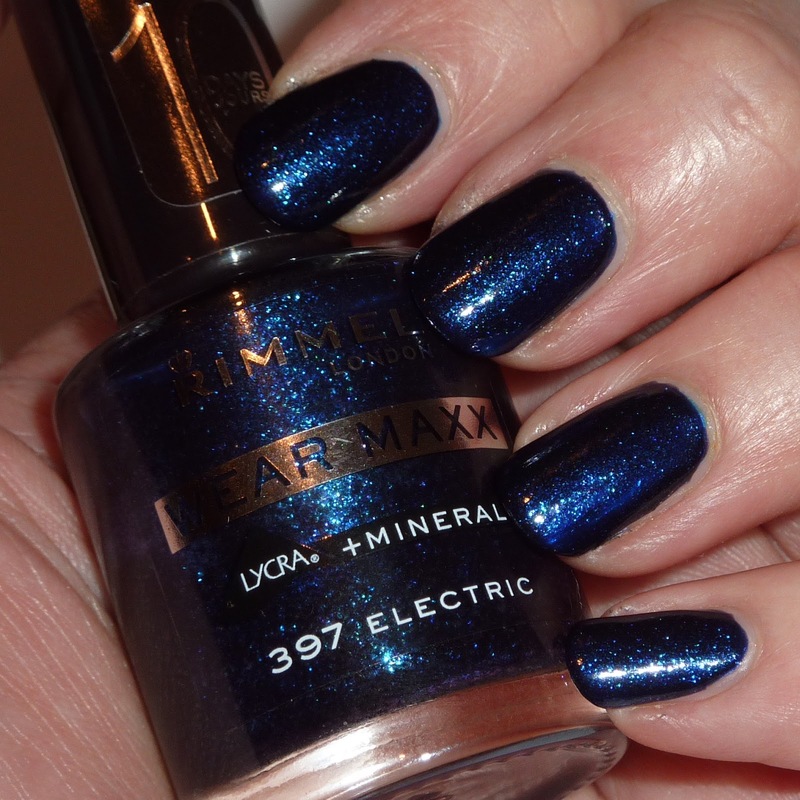 This was two coats, I love how it looks different depending on how bright the light is, indoors it looked like a blackened blue base with blue glitter reflecting the light, it's quite subtle but the glitter gives it a glow from within as unless you're close you don't see it's glitter. In shade it almost looks black as the glitter's not catching any light. 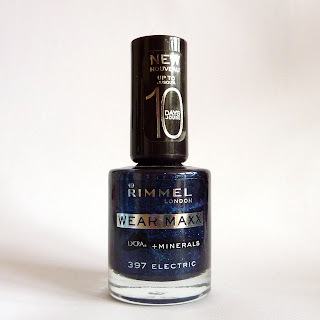 The last photo I took with flash, this is how I wish it looked all the time, but it doesn't, but I included the photo as I like that you can see all that glitter in the bottle. 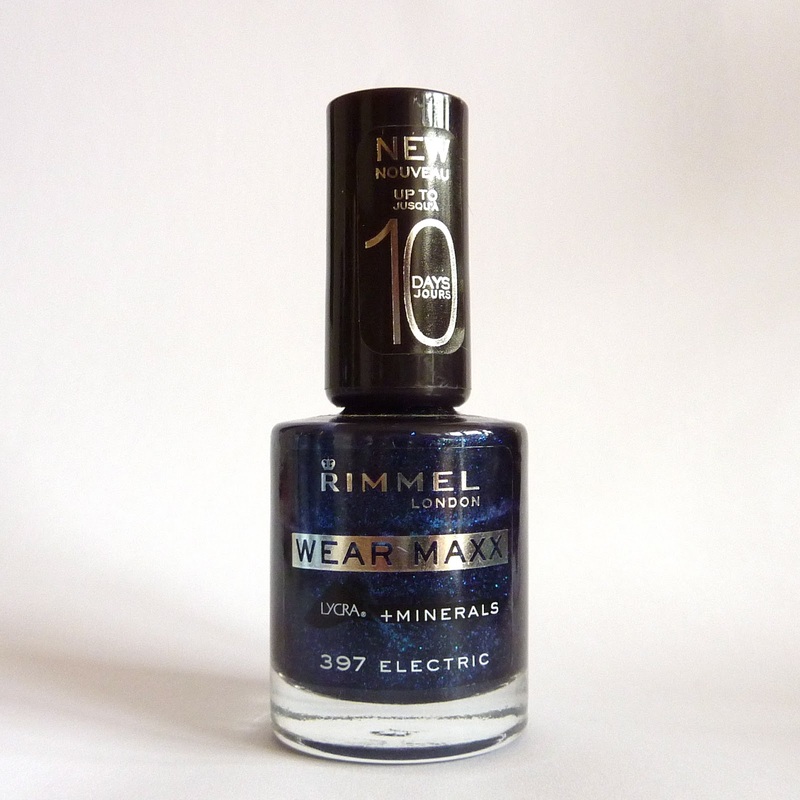 The formula was good, slightly on the thick side as I've found most Rimmels to be, it covered in two coats, and although I didn't use top coat for my swatches I'd advise it for a full mani, just because it died a bit gritty looking and lacked shine, a top coat would bring out the glitter more as well. This is a unique colour in my stash, there are probably dupes out there, but this should be cheap enough if it turns up on ebay so if you like it it's worth searching for. 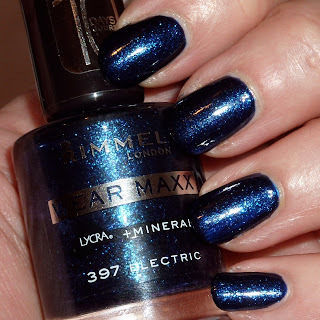 great blue color :) I have this too and I like it very much!